For the month of October, I thought about giving the honor to a pumpkin beer, and I had a good one in mind. But pumpkin beers are quickly becoming a bit of a cliche in my opinion, and I decided to go with a more traditional style that you don’t see much these days. 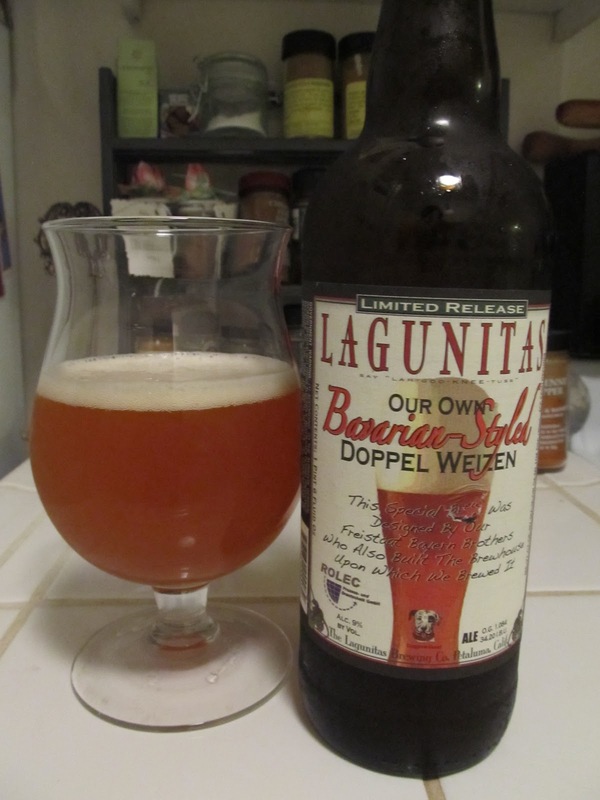 And so the Beer of the Month for October 2011 is a nifty Doppel Weizen from Lagunitas. For those of those of you who thought a wheat beer was one of those light summer beers, you’ll be in for a bit of a shock with this one. The yeast really dominates, producing strong aromatic clove-like spiciness complimented with a little banana-like fruitiness on a bready, slightly toasty malt substrate. It’s a strong tasting beer with a slight alcohol heat, that nearly crosses the line into harshness, but thankfully doesn’t. So if you’re looking for a real change of pace this month without resorting to having pumpkin in your brew, pick up this unique seasonal from Lagunitas. Not typically a wheat fan, but this does sound good. Definitely looking for this beer. Brown Shugga should also be a good choice for this time of year.